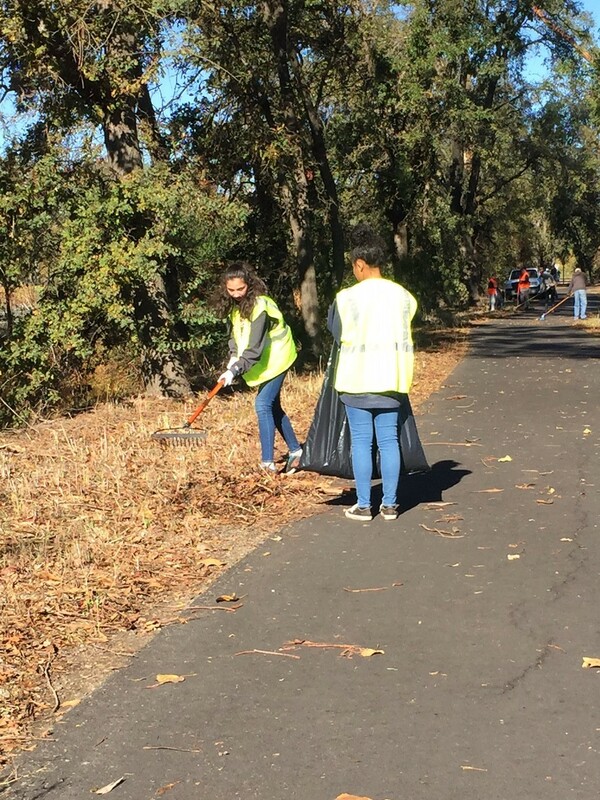 Saturday November 18th was a beautiful day for a trail cleanup! 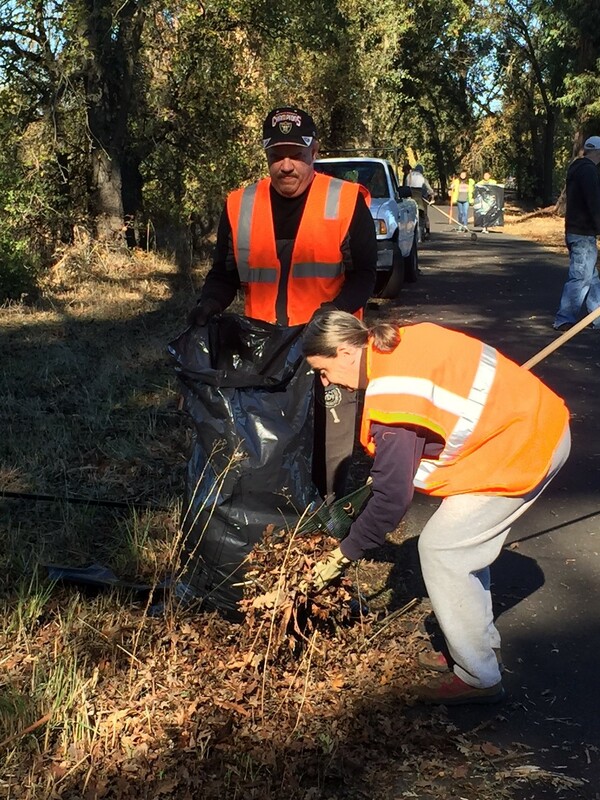 Napa Valley Vine Trail vounteers were out with gloves and tools in hand picking up the debris that had fallen from the eucalyptus trees after the windy days we had in October. 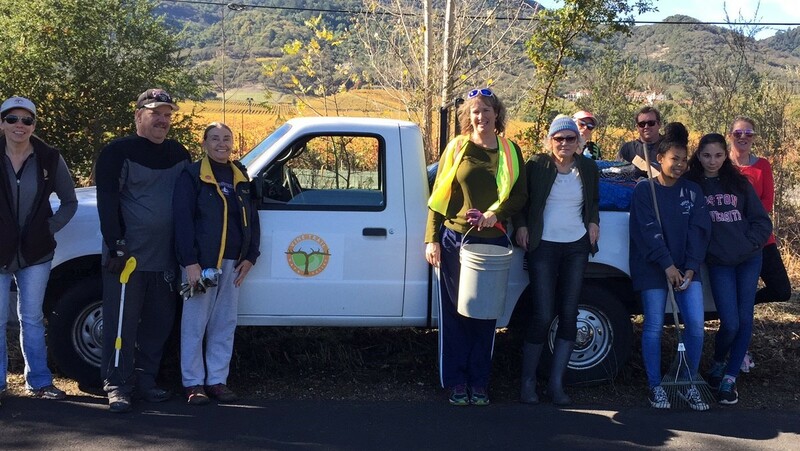 Thank you to all the enthusiastic vounteers who worked so hard -- you are greatly appreciated! 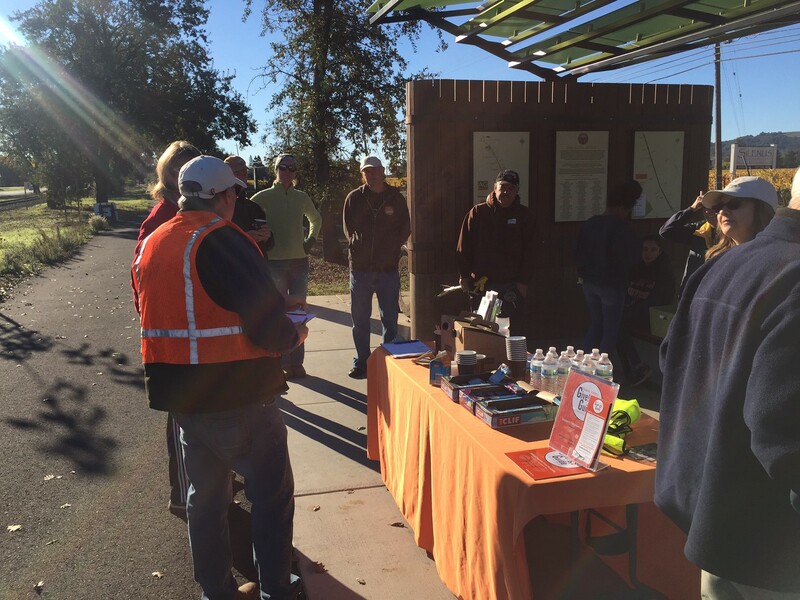 Meanwhile, just down the trail at the Darms Lane Shelter, Executive Director Philip Sales and Vine Trail Board member Diana Meehan from NVTA were busy handing out coffee and Clif bars and conducting a zip code survey of the trail users that passed by that morning.